Dr Jenny Edge: Personalised medicine for breast cancer treatment. A Reality? Personalised medicine for breast cancer treatment. A Reality? Once a year, I give a talk for the local branch of Reach for Recovery. It was my pleasure to be there last Thursday. Many of you will know that Cape Town hosted a very successful international Reach to Recovery Conference last year. I decided to give a talk based on the one I gave there. 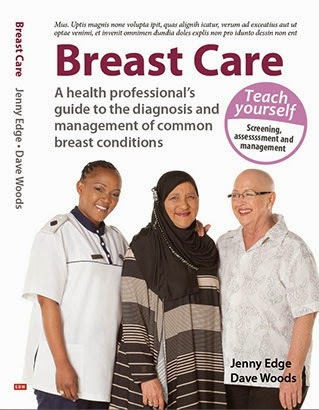 The title was 'New developments in the management of breast cancer'. The essence of my talk was that we will go away from Evidence Based Medicine and start practising Personalised Medicine. Evidence based medicine is defined as "the conscientious, explicit and judicious use of current best evidence in making decisions about the care of individual patients." The decisions we make are based on population studies. By this we mean research done on a number of people with a similar disease/disease state. For example, if we want to know if a medication works for breast cancer, we will give 1000 women with a particular disease profile the drug being tested and then give either standard therapy/no therapy to a matched group of women and see which is best. It is the principle behind all medical trials. There has been a massive increase in the field of genetics. We can look at the individuals' genetic make up as well as the the genetics of the breast cancer. (There is no doubt that more research will come out in this area.) As a result, the cancer's behaviour will be more accurately predicted and so we should be able to individualise our recommendations for treatment. What do you think? Do you believe we will be able to be so certain of a cancer's behaviour that we will be able to omit surgery/radiation/chemotherapy and guarantee that it is safe? Let me know. I was so pleased to read your summary of this aspect of the presentation shared with the Reach for Recovery volunteers. As this notion of personalised medicine has been turning over in my mind ever since. I think it is amazing that we have progressed to the point of even contemplating personalised treatment and predicting the behaviour of cancer. While drugs undergo rigorous testing, I believe the x-factor in this is the human mind. As humans we struggle to complete a course of antibiotics (e.g. common cold, TB treatment), when you start to feel better. Now with cancer, you may not even feel sick, will people have the confidence and discipline to take a simple tablet in order to cure a disease which is unfelt? The tangible experience of surgically removing a tumour or undergoing Chemotherapy, certainly offer peace of mind in the traditional sense.